Wireless charging received a big boost from Apple last year, but pads using tightly coupled charging technology are only the beginning; new markets for IoT, medical and mobile technologies are emerging. More than 6 billion wireless chargers are expected to ship over the next five years, a staggering growth rate spurred on by Apple's entry into the market with the iPhone 8 and X and its failure – so far – to produce its promised AirPower pad, according to a new report. Annual unit shipments for wireless power receivers and transmitters across all applications are forecast to grow from 450 million units in 2017 to more than 2.2 billion units in 2023, according to IHS. Cumulatively more than six billion receiver units and 2.7 billion transmitter units are expected to ship between 2018 and 2023. Apple has had a major impact on both adoption and a potential stunting of wireless charging technology, according to IHS principal analyst Dinesh Kithany. Apple's decision to adopt induction-based (Qi-specification) wireless charging technology for its iPhones in 2017 legitimized the technology; that move also pushed providers of competing wireless technology to shift their focus from mobile phones to other markets in search of new opportunities involving wearables, medical devices and the automotive electric vehicles (EVs) segment. 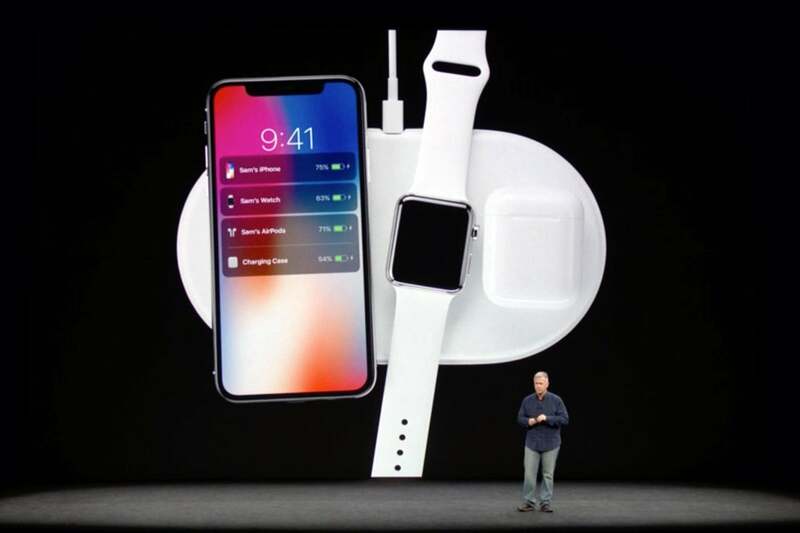 This year, however, Apple's failure to produce its AirPower multi-device wireless charger, which it announced more than a year ago and promised to ship in 2018, may have dampened consumer and market enthusiasm and slowed the adoption of wireless charging technology, IHS said. In fact, Apple didn't even mention AirPower at its September iPhone event or at its Brooklyn, N.Y. event this week. The company has not responded to multiple requests by Computerworld for information about the device. "The market was awaiting anxiously to hear about [the] AirPower launch at Apple's [event] in September. Many had halted their development plans waiting for an update," Kithany said via email. "Apple products play an important role in the wider ecosystem and technology, being a driving force." Last year, with Apple's adoption of a Qi-based wireless receiver in its iPhone line-up, "everyone" else in the market "jumped into that," Kithany said. "Similarly, all were waiting for multi-device charger products with their own protocol. But these announcements...possibly slowed down as Apple did not announce anything so far," he added. Momentum would pick back up should Apple finally ship the AirPower charger, Kithany said. Pundits have speculated that Apple may be struggling with the ability to enable three different charging modes on one device. At the time of its 2017 announcement, Apple described AirPower as capable of charging three devices at once: an iPhone 8 or iPhone X, an Apple Watch Series 3 and AirPods via their wireless charging case. More than a dozen vendors have already produced their own Qi-specification multi-device wireless chargers. Regardless of what Apple can do, mobile device wireless charging will continue to be the largest product segment over the next five years – even as other product segments and applications start to grow, according to Kithany. Jack Gold, principal analyst with J. Gold Associates, agreed, saying the industry has coalesced around the Qi wireless charging standard. "It made it much easier for other devices to adopt, especially since the scale is going up and the costs are, as a result, coming down," Gold said via email. "We're seeing wireless charging going into furniture, cars, appliances, etc. as a way to charge portable devices. Built-ins will be a major market - no more carrying charging cables or having incompatible chargers." Last year, almost 31 million wireless-charging-enabled wearable devices shipped; the top three wireless charging receiver applications were smartphones, wearables (e.g., smart watches) and personal care appliances (electric toothbrushes, for instance). Shipments of wireless charging-enabled medical devices for consumer use are also expected to grow to approximately 13 million units in 2023, mainly driven by hearing aids. 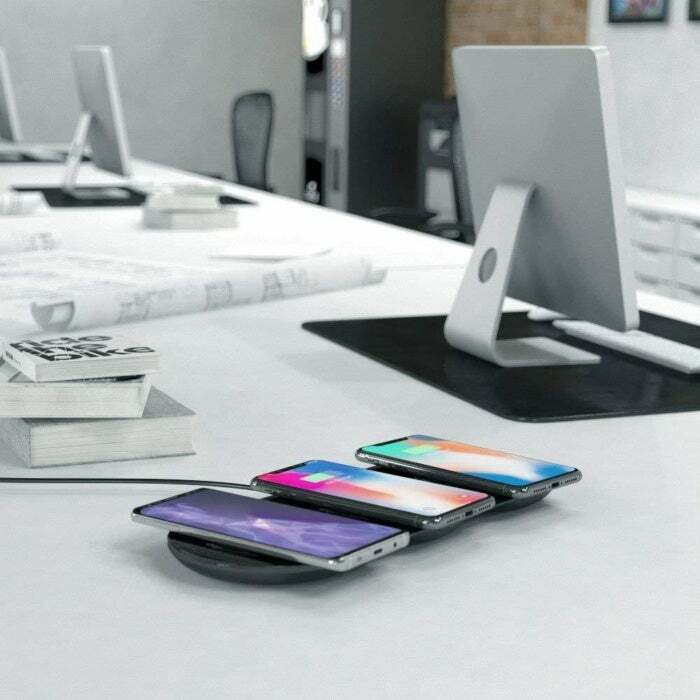 While low-frequency induction-based wireless charging pads and receivers will continue to be the largest volume market through 2023, interest in the long-awaited resonance wireless charging – charging over distances – remains high. "Spatial freedom is a key challenge for induction, and also it's tough to get induction coils into some designs and form factors. Induction is good, but cannot be working great in all situations, e.g. moving cars," Kithany said. 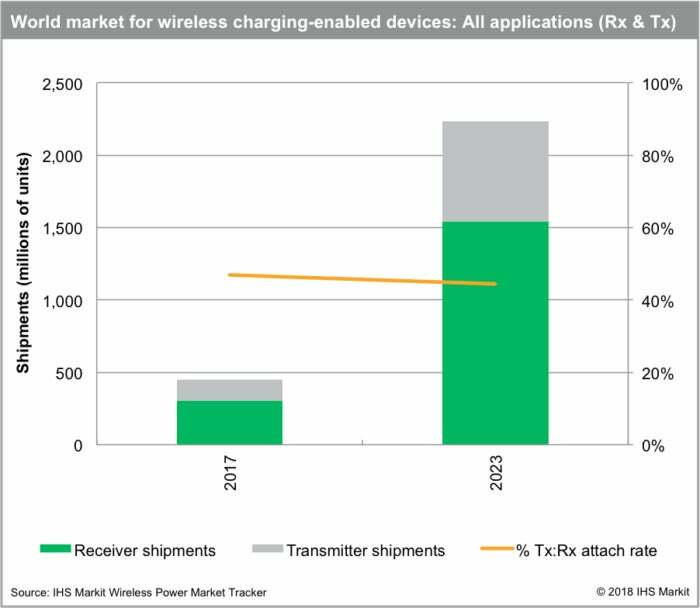 During 2019, a wider range of applications and product segments are expected to launch in the uncoupled wireless charging market; those companies use either radio-frequency (RF) or infra-red (IR) technology, IHS said in its report. "Multi-frequency solutions fit convenience-led applications like mobile phones and smart watches, and they are expected to gain market share within the next four years. Automotive (EV charging) is another sector that gained attention across a wide profile of wireless power solution providers," IHS said. While wireless charging pads have become more commonplace, the future of wireless charging may still be up in the air. The ability to charge hardware over distances of several meters has always seemed just around the corner, even when companies first announced the technology years ago. Now, however, some wireless charging companies have announced partnerships with electronics industry stalwarts, paving the way for actual product shipments. 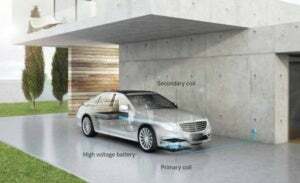 Daimler, along with other car manufacturers, has announced it will be bringing EV hybrids to market this year that are able to use a wireless charging pad. Europe's largest semiconductor chipmaker, ST Microelectronics (ST), partnered with Massachusetts-based WiTricity to develop integrated circuits for wireless power transfer. WiTricity's wireless "park-and-charge" technology puts out 11kW of power for electric and hybrid-vehicles; using either an above-surface pad or embedded in asphalt, the technology can automatically interface with enabled electric vehicles that park over it. ZKTeco USA, a manufacturer of biometric readers for smart door locks, elevator control panels, RFID readers and other devices, announced it had partnered with Wi-Charge, whose technology uses IR beams to transmit power. Products should ship early in 2019, according to Yuval Boger, Wi-Charge's chief marketing officer. A Cota ceiling tile power transmitter from Ossia. Another wireless charging-at-distance firm, Ossia, has partnered with with electronics manufacturer Molex to boost development of its first products, which will be aimed a powering IoT devices. 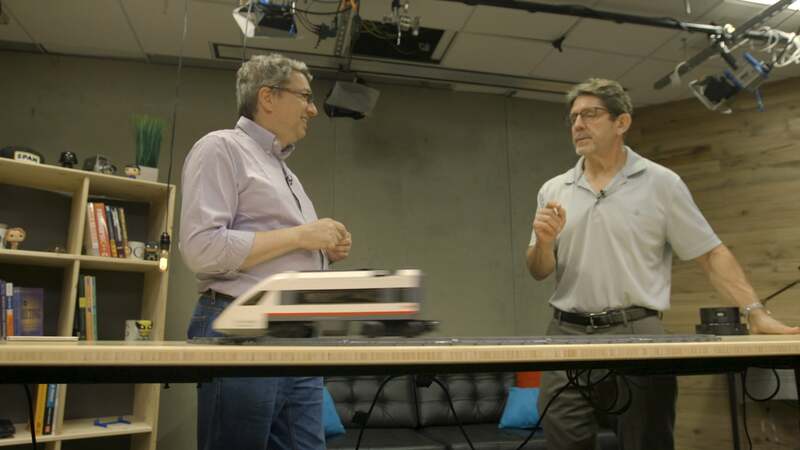 Ossia's Cota technology uses RF to send power and data over distances greater than 15 feet. 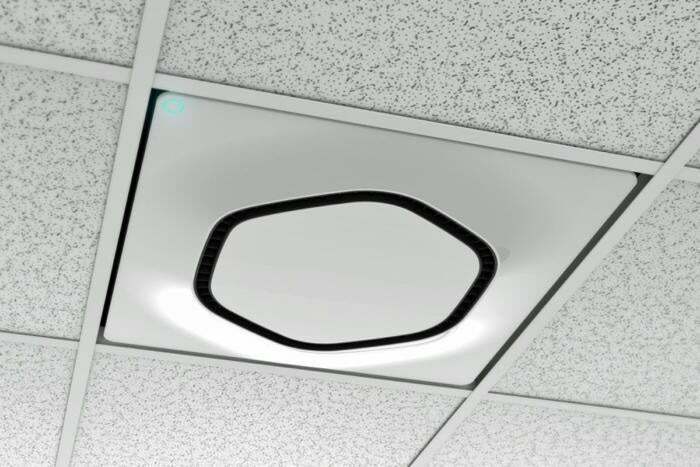 Cota Transmitters can link to charge dozens of mobile devices within a several-meter radius, and the transmitters come in multiple form factors, including a drop ceiling tile. Yet another RF charging company, Energous, claims its WattUp Mid Field transmitter can trickle charge smartphones, watches, speakers and other devices feet away. The WattUp Mid Field transmitter can charge devices up to 3 feet away from a transmitter and its WattUp Far Field transmitter can charge devices up to 15 feet away from a transmitter. 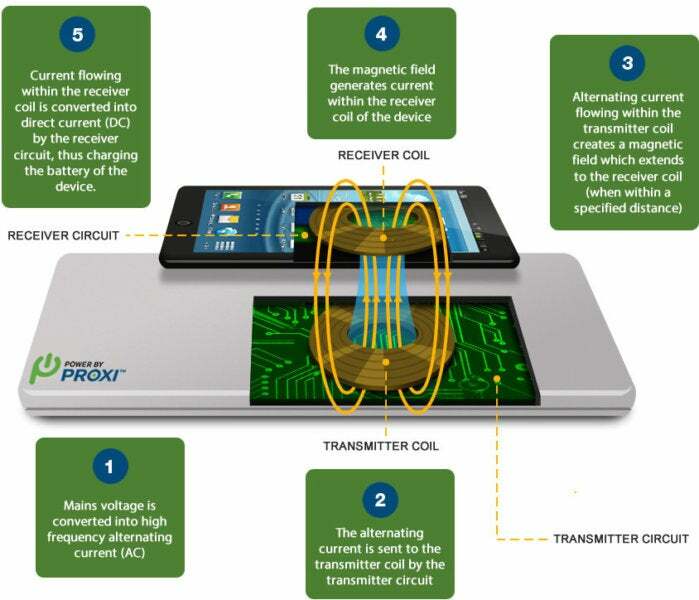 Last year Apple purchased New Zealand-based wireless charging start-up PowerByProxi; the technology uses a loosely-coupled version of Qi-based technology to charge devices over short distances (i.e. inches). "It's too early to say who would lead resonance [wireless charging], as there are still products to be installed. And, also since the market is at the inception stage, there would be [a] place for everyone," Kithany said. "Resonance could possibly get another chance for adoption into mobiles subject to them addressing its issues."